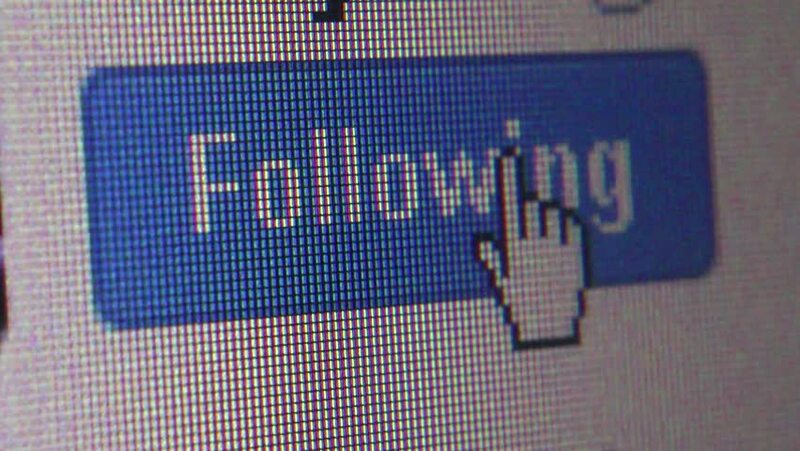 SAN FRANCISCO, CA - MAR 25, 2015: Illustrative editorial clip of macro ECU of user moving cursor and clicking on Twitter 'Follow' button. Clip demonstrates ubiquity of social media in everyday life. 4k00:13Wider macro close up with flickerless display as an employer moves a cursor and clicks to post a job on a popular social networking career website. 4k00:17TOKYO, JAPAN - SEPTEMBER 1, 2018: Macro close up as user clicks on Twitter 'follow' button; button changes form to say 'following' afterwards. Social media users usually aim to increase followers. hd01:05LOS ANGELES, CA - CIRCA MARCH 2016 - Macro ECU user points cursor at Facebook 'Friends' banner and clicks on it, turning it blue. Having many friends is a sign of social media success. 4k00:07Searching for vaccines on the Internet. Typing keyword in www browser on computer, smartphone or tablet. Close view of screen display with pixels. 4k00:07Searching for business on the Internet. Typing keyword in www browser on computer, smartphone or tablet. Close view of screen display with pixels. 4k00:07Searching for music on the Internet. Typing keyword in www browser on computer, smartphone or tablet. Close view of screen display with pixels. 4k00:07Searching for health on the Internet. Typing keyword in www browser on computer, smartphone or tablet. Close view of screen display with pixels.